As divorces become increasingly common in today’s world, more and more people now have blended families as a result. Blended families can be defined in a wide variety of ways including, but not limited to, families with divorced parents, half-siblings, step-siblings, remarried parents, and deceased parents. Because not every blended family is going to look like the Brady Bunch, there are numerous aspects of having a blended family that can create challenges. Due to these challenges and complicated circumstances, it is critical that people with blended families know their options under the law and have an estate plan in place. Thankfully, with the guidance of an experienced estate planning attorney, many issues can be avoided through open conversations and careful, intentional planning to create an estate plan that considers the unique aspects and dynamics of your family situation to alleviate most of your concerns and allow you to focus your time and energy on your loved ones. There are many issues that can arise if you do not have a proper estate plan in place that accounts for the specific circumstances of a blended family. Estate planning involves anticipating, considering, and planning for everything that could happen in the world of “What If,” which is the hypothetical world were everything that you hope or think won’t happen can happen. For example, one common issue that blended families need to consider is that if you are remarried and have children from a previous relationship, a traditional “simple will” that leaves all your assets to your new spouse if he or she survives you, and then divided equally among all your children—including your children from your previous relationship, your step-children, and any children you have with your surviving spouse—likely will not meet your goals because once your surviving spouse receives all the assets, there is nothing preventing him or her from deciding to leave it to someone else when he or she dies. As a result, your children from a previous relationship could be excluded and ultimately never receive an inheritance from you. Another issue is that if you have step-children that you would like to inherit from your estate, unless your will or trust specifically identifies them and explicitly includes them, they could be left out from an inheritance. Making provisions in your estate plan for your “children” will not include your “step-children” unless your estate planning documents make that explicitly clear. Husbands and wives need to sit down and have an open and honest conversation together about what they want to happen after their death. Avoiding this issue will only cause trouble for your loved ones later, or even fighting in probate court after you are gone. These conversations can be difficult and emotionally-charged, but you will be rewarded in the long run and can avoid even more difficult and emotionally-charged situations down the road. If your children are adults, you may also want to consider including them in these conversations so that everyone understands yours wishes and knows what to expect. By having an open and honest conversation and working with experienced estate planning attorneys to establish the proper estate planning tools for your unique family will ensure that everyone’s wishes are honored and that all members of your blended family are included and treated respectfully. The attorneys of Gilbert Law have over 10 years of combined experience of helping blended families meet their estate planning needs. Contact us today at (651) 340-9642 to schedule an appointment to discuss your estate planning needs today, or click here [insert link] to register to attend Gilbert Law’s Estate Planning Workshop on November 4, 2017 to receive a discount on drafting your estate planning documents. While there are laws in place to protect the rights of persons with disabilities, many times these are overlooked. 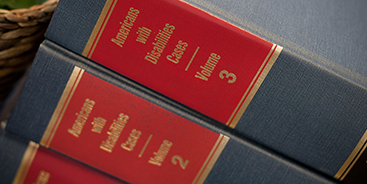 When disability discrimination prevents you, call the attorney that will stand by your side. From employment discrimination claims to small business legal advice, Gilbert Law has the tools, expertise and knowledge to give you exactly what you need in every aspect of employment law. Our results speak for themselves. See what our past clients have said about our work, and become the next to have Gilbert Law in your corner. 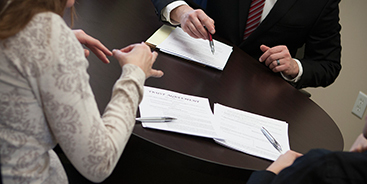 Our success comes from our clients’ success, so call us now for your free consultation.